If you’ve lived or vacationed on the coasts of any of the southern states, there’s a good chance you’ve seen his artwork on shirts featuring amazing pictures of marine life. You can also see his art on the walls of SeaWorld Orlando, as Guy Harvey and the park teamed up recently for the massive coaster, Mako. Guy Harvey is not only a legendary artist, who depicts the depths of the ocean in his art, he is a legendary conservationist. This weekend, he returns to SeaWorld Orlando to talk about one of his favorite subjects: Sharks. Guy Harvey and SeaWorld seems like a match that should have been made decades before. Both SeaWorld and Guy Harvey have done impactful work to help the various animals in the oceans. Guy Harvey has brought awareness through his beautiful paintings and through his Guy Harvey institute. SeaWorld has given scientists a place to research and observe animals in a controlled and stable environment. They’ve also helped to rescue, rehabilitate and (when possible) release over 23,000 animals in their 50 years of existence. Along the way, they’ve inspired several generations of families to do more for the ocean, and care more about the animals in them. Together they are working on bringing awareness to the very real problem of shark finning-the practice of catching and killing sharks just to use their fins for soup, and it all culminates in the all new attraction, Mako which opened this summer at SeaWorld Orlando. However, it doesn’t stop there. SeaWorld is hosting a Guy Harvey Weekend, in which you can not only meet the legend, but see exclusive merchandise created for SeaWorld, hear uplifting stories about conservation, and even hang around for meet and greets and autograph sessions with Guy Harvey himself. The weekend is included with theme park admission, and it’s open to all ages. Additionally, guests can sign up for extra events that get them even closer to Guy Harvey and hear a little more about his adventures with sharks and marine life. Each option has an additional fee, and theme park admission is required. EXCLUSIVE GUY HARVEY SHARKS UP CLOSE TOUR- Join world-renowned marine artist and conservationist Guy Harvey as he takes visitors on an unforgettable “up close” tour of the park’s Shark Encounter. Guests will get closer than ever to a wide variety of sharks in this extraordinary 700,000-gallon habitat and learn more about their world and the perils sharks face in the wild. The tour includes a family photo with Guy Harvey, as well as a signed mini-print of Guy Harvey artwork. Park admission is required, but not included. Pricing begins at $39 per person. 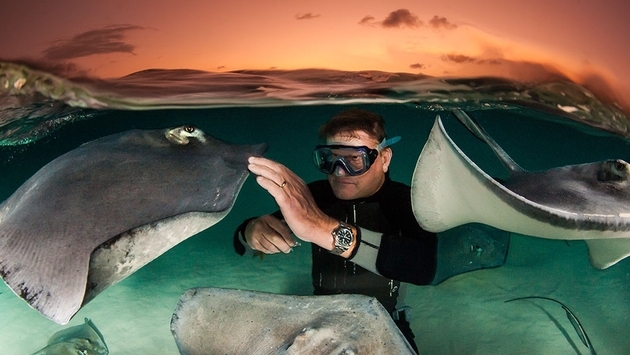 DINNER WITH GUY HARVEY AT SHARKS UNDERWATER GRILL- Guests can savor the flavors during SeaWorld’s culinary celebration at Sharks Underwater Grill hosted by world-renowned marine artist and conservationist Guy Harvey. Diners will experience a signature menu of sustainable seafood specialties in a unique oceanic space complete with a window into the mysterious world of sharks. Guy Harvey will be on hand to share compelling stories of the ocean, his artwork, and the inspiring beauty of the natural world we share. 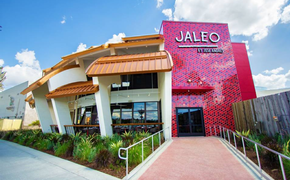 This three-course dining experience includes a family photo with Guy Harvey, a signed mini-print of Guy’s artwork and one specialty beverage. Park admission is required, but not included. Pricing begins at $99 per. PASS MEMBER EXCLUSIVE MEET & GREET WITH RUM TASTING- SeaWorld Pass Members are invited to join world-renowned marine artist and conservationist Guy Harvey for an evening of inspiration and conservation. Pass Members will learn about the beauty of sharks and the critical role they play in our ocean while they relax in SeaWorld’s atmospheric Waterfront. Pass Members will also have the opportunity to enjoy a specialty rum tasting experience and receive a family photo with Guy Harvey, one specialty beverage and a set of exclusive specialty glasses. Pricing begins at $29 per pass member. It’s a great way to learn more about sharks, and conservationism, and to get up close and personal with one of today’s highest-selling commercial artists.